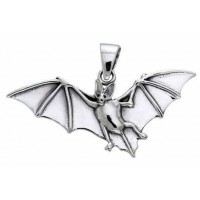 If you want to capture the power of this sensitive creature, the Silver Bat Pendent will allow you to channel the spirit of the bat. 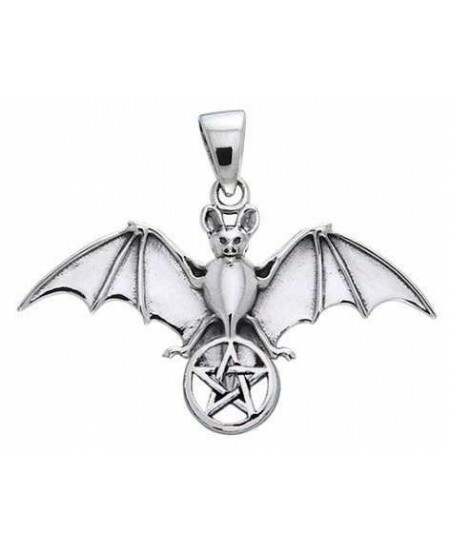 The bat is a popular animal totem because of its mysterious nature and unique abilities. 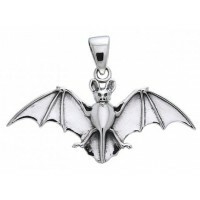 Peter Stone the world's leading manufacturer of fine sterling silver jewelry has released the Animals and Nature collection, to capture the spirit of your favorite animals, such as the bat. 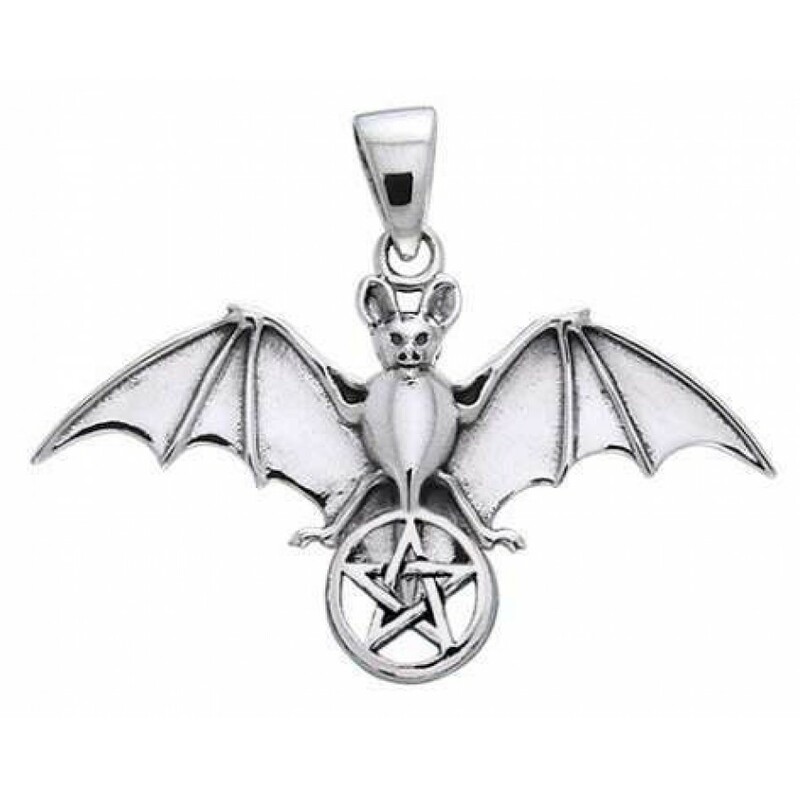 The Silver Bat Pendant captures the spirit of the bat, transferring its power to the wearer. 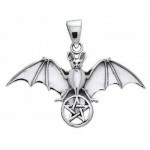 Bats are symbols of intuition and vision, because of their heightened senses and intuitive way of communication. This 1 1/4 inch long sterling silver pendant is hand crafted. Made to order especially for you of the finest .925 sterling silver. Please note this item is made to order so allow extra time for delivery. It generally ships within 2 weeks though can be longer during holidays or other peak seasons. Item Number: PS-TPD1078 | Approximate Size (Inches): 2.00 wide x 0.05 deep x 1.25 high | Approximate Shipping Weight: 0.25 lbs.